Juvederm has been proven to the one of the best treatments for treating various types of scars such as those resulting from acne. Results are long lasting, customer reviews highly positive and only minor side effects have been observed when applied by highly trained medical professionals. Scars from acne scarring can represent an unpleasant reminder which impels many afflicted patients to seek treatment for the condition. Prevalent in patients with severe forms of acne, such as nodular and cystic, acne scars fall into 2 types: atrophic and hypertrophic scars. Of the 2, dermal fillers are able to treat the former, and are particularly suited to improve the look of scars that have left indentations in the skin, especially rolling scars and less-defined boxcar scars. Why use Juvederm for acne scars? 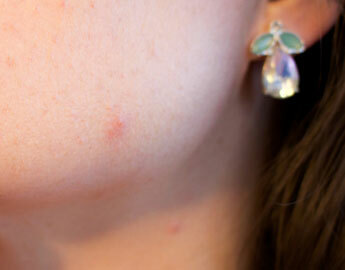 Juvederm is generally a suitable option for filling acne scars. Its smooth formulation and long-lasting results make it a good choice for this kind of treatment. By restoring volume to the depressed or pitted scar using a high-viscosity filler like Juvederm Ultra, the appearance of the skin is improved, an effect which will continue to develop with time due to the added effect of subcision from the needle during the procedure. The effects of Juvederm Ultra treatment are expected to last around 9–12 months. A second approach is to use a low-viscosity dermal filler normally used as a skinbooster (such as Juvederm Volite) to treat large areas of scarring. In this approach, the filler functions to hydrate and condition the skin, rather than providing volume to lift the scar. 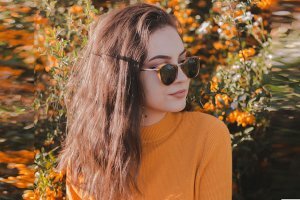 For a more durable effect, dermal fillers can be used in conjunction with other dermal treatments like fractional non-ablative laser treatment and chemical peels to markedly improve skin texture and reduce scarring in the long-term. The procedure for Juvederm treatment involves first discussing the scars that cause the patient the most concern and coming up with an approach for scar treatment. Next, the site of treatment is cleansed and disinfected with an antiseptic. Then, proceed to inject filler into the skin directly under the indented area. Treat the area in a systematic manner as localized edema may develop to the point where scars are no longer visible. Have the patient assess the results of the treatment and give them the opportunity to point out further scars that need treatment. Resume treatment as necessary until the desired effect is achieved and all parties are satisfied with the results.